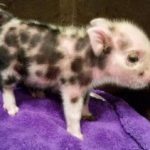 Exotic & Small Micro Indoor Pet Pigs. 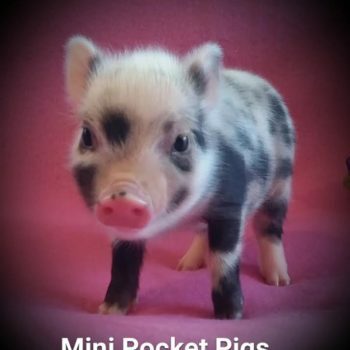 At Mini Pocket Pigs, we have implemented an appropriate breeding stock that has created some adorable, TRUE Micro Miniature Juliana and Micro Mini Pet Pigs. Located in lovely Northern Idaho, our pigs are part of our family, but are eager to become part of yours. 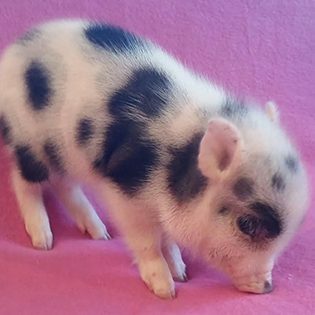 This is our hobby, but we are dedicated to sharing our passion and love for indoor pet pigs. If you are a loving family in need of a new member, we know how to make your household whole. This Just In! Babies for Sale! This little fellow is curious and very sweet. He love belly rubs and hanging out with his people pals. He is neutered and litter box trained. Click On BABIES FOR SALE to see more details. This little girl is extremely sweet and loving. Loves giving pig kisses and very tiny! She is going to be a very fun entertaining addition to a loving family. This little guy is extremly sweet. He is going to be a show stopping pig like his dad! Very sweet and curious little boy. Click on BABIES FOR to see more details, pricing and pictures. Take a look at all the adorable babies we’ve had! We definitely have the right breeding stock in place for amazing things to happen! Find out what it means to be dedicated to breeding high quality & healthy small indoor pet pigs. 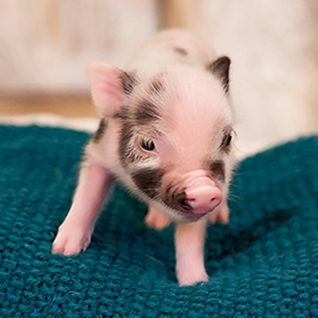 Reserve your place in line to be the next to receive an adorable baby pocket pig. We even offer you the opportunity to finance the purchase of your new baby over several months. I just wanted to say how grateful I am that my 14-year-old daughter researched Jerri Lynn’s website. 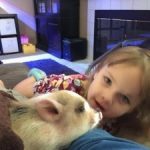 My daughter has wanted a Juliana pig for the past 4 years and never gave up researching her passion. 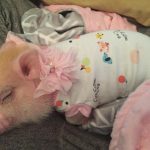 Her dream came true Nov 4th, 2015 when we purchased Winnie the pig, a female registered Juliana pig from Jerri Lynn’s website. 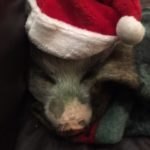 My daughter and I never held or petted a pet pig before, but believed Jerri Lynn as her enthusiasm and energy poured out for her adorable piggies. She educated us on how loving, gentle, and smart Juliana pigs are. 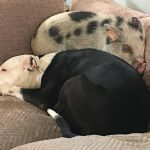 Even though I was hooked on these adorable piggies I was still a little apprehensive about purchasing from someone I never meet, but Jerry Lynn totally exceeded my expectations by staying in touch with me through the whole exchange and transportation process. Jeri Lynn is truly a genuine honest person! I can’t thank her enough for the food she produces, the piggy training she plugs, and for all her holding therapy she does with each baby. Making them the calmest and most well-adjusted piggies on the market. I still am amazed at Winnie’s calm temperament. From the moment we opened Her crate door she was calm, affectionate, and well-tempered. Even after that long flight! He is such a happy little guy!!!! I just wanted to thank you again for bringing him into our lives. We love him SO much. 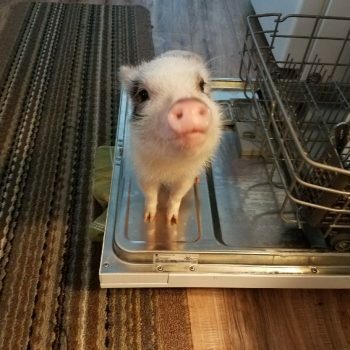 Our search for the perfect pet started about 2 years ago when my wife ran across a picture of a “Tea Cup Pig” on the internet. We started to do some research, and ran across the typical night-mare stories of pigs growing to enormous sizes. Well, a little more research revealed that those few stories are recycled all over the internet, and it didn’t take much time to realize that all we needed was a reputable breeder. We found just that in Jeri Lynn at Mini Pocket Pigs. 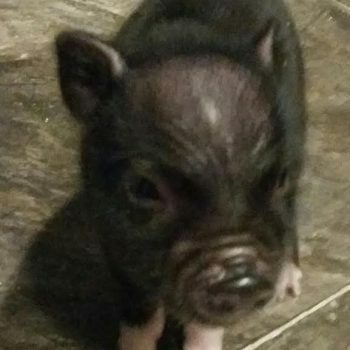 After viewing Jeri Lynn’s website, and all of the included information and pictures of piggy parents (standing next to rulers), we knew we had found our breeder. One phone call to her and we were sold! 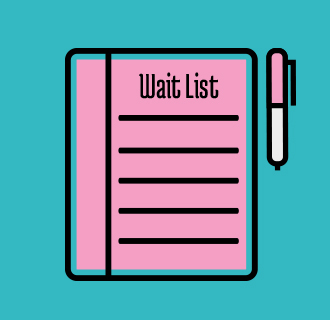 Jeri Lynn’s willingness to answer all of our questions, spend time on the phone with us, and send us pictures of our new baby almost daily eased any anxiety we may have had taking on this new venture. Now I have had pets all my life, but my wife Leah has not. Leah is extremely allergic to just about everything. Walking into a house where a cat or dog lives results in hives and breathing issues. Leah was a bit worried about our pig. In stepped Jeri Lynn to the rescue again! Jeri Lynn explained why pigs are considered hypoallergenic. She also suggested that we check with an allergist. Well guess what friends… Leah isn’t allergic to Penelope, our little girl piggy. Penelope is truly Leah’s first pet. When the day came to pick up Penelope from the airport, I don’t know who was more excited, myself and the kids, or Leah! Penelope is sweet, adorable, affectionate, smart, loving… I could go on forever. She is the best! We just love her! 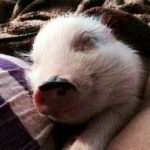 I dare you to spend an hour with a pig and not fall in love. You just can’t do it! 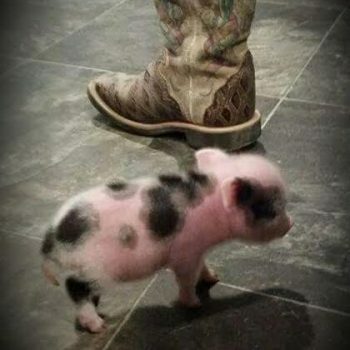 And friends, Jeri Lynn’s support doesn’t stop when you get your new piggy. She has answered a ridiculous number of questions for us, from what brush to use to what kind of shampoo to buy, and how do we trim Penelope’s hooves. Jeri Lynn is there every step of the way. We also feed Penelope Jeri Lynn’s food. Penelope loves it, and she’s doing great! 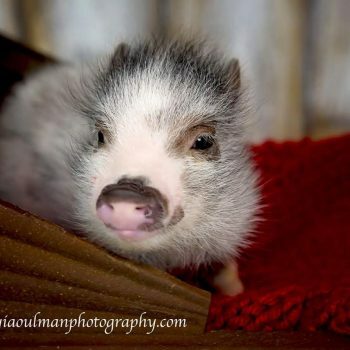 Please friends, if you are even considering adding a piggy to your family, take a few minutes to call Jeri Lynn…you can thank me later. 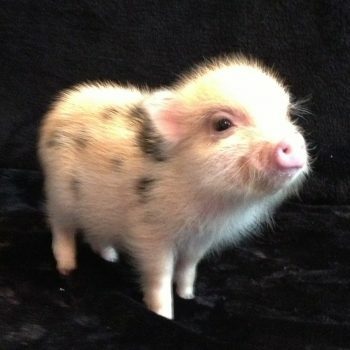 I just want to tell you how much I love my piglet, Burt. He is so sweet and cuddly. I can’t thank you enough! I spoke to other pig breeders who just wanted people’s money and didn’t tell the truth about their piglets. Those breeders tell people their piglets will be small enough to fit in a teacup! When I spoke to you I knew that I would get exactly what I wanted. 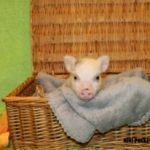 You know what you are doing and strive to place your piglets in forever homes. Your piglets are beautiful and sweet! 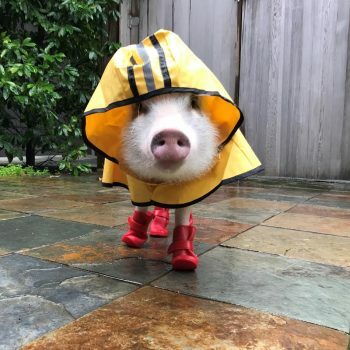 I hope that people read this and get their piglet from you! I know they will be as happy as I am with their new baby! It is hard for me to put this little boy down! Our family has been so pleased with our pig Annie from Mini Pocket Pigs. 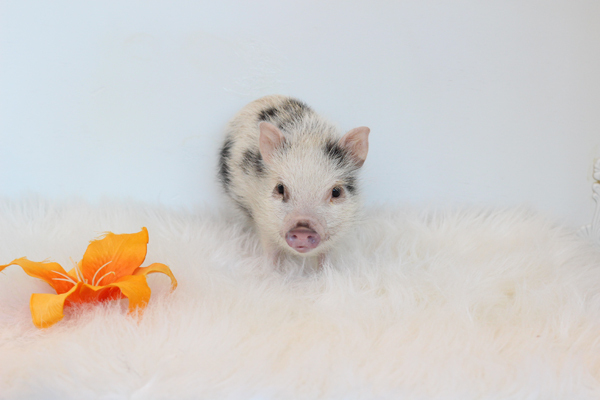 Jeri is an outstanding breeder who takes the time to develop a relationship with her future piggy parents. She invited us into her home to meet all her pigs. 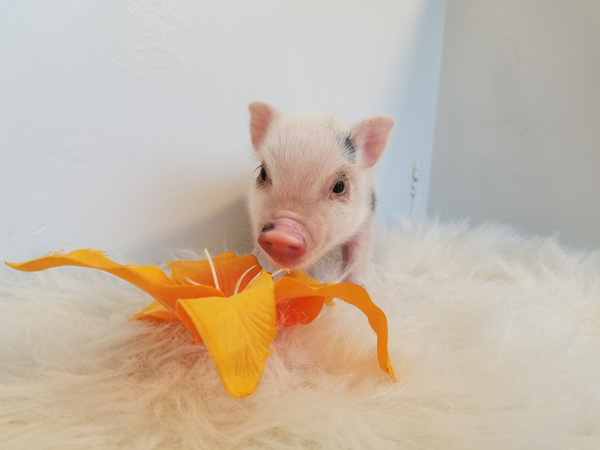 She prepares you with all the information you could possibly need to be ready to take your baby pig home and continues that relationship long after they leave her care. 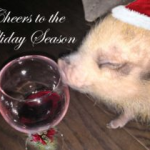 She socializes all her pigs and makes sure they are ready for your home and family. Her love for what she does is so evident even in the package she sends you home with upon bringing your baby home. 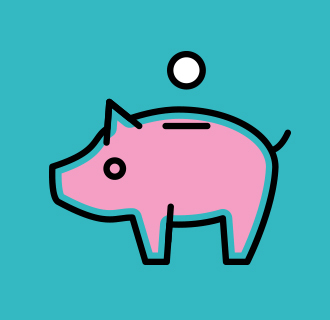 We HIGHLY recommend that anyone wanting a pig does business with Jeri! We are sure he is having visions of sugar plums, Cheerios, carrots, etc… dancing in his head! Thank you for Hamlet he is a gift even when he is on the naughty list!!!! Milo is doing fantastic. We love him so much!! Thank you for breeding such beautiful healthy miniature pigs. Our gift from God was born close to Valentine’s Day with a heart shape spot on her side. This fortunate family is very blessed to have our precious baby girl Merci Mei. She arrived in Northern California on Good Friday. For this family it was the start of a new piggy adventure of love and kisses. Our prayed for bundle of joy is pure bliss. 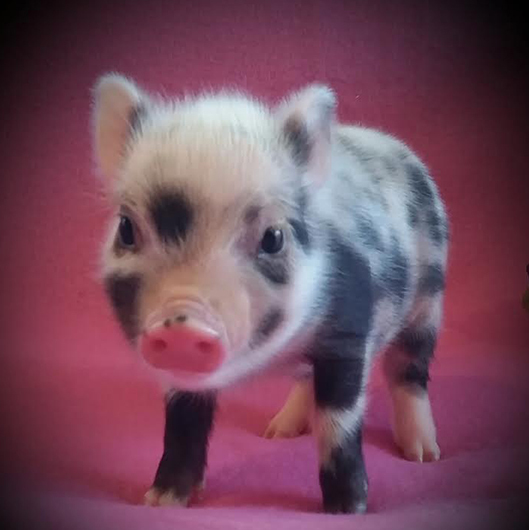 Of all of the micro pig breeders to choose from, we highly recommend Jeri Lynn’s mini pocket pigs. We are so fortunate to have our sparkly big eyed, very petite, and stunningly beautifully tail wagging show stopper that makes everyone stop in their tracks and squeal with delight. Jeri Lynn is extremely knowledgeable. Her pigs are treated better than most children. You can trust Jeri Lynn to be a reputable person and breeder. Merci Mei is proof of that fact. I just wanted to check in and let you know that Welker is doing fabulous!!!! We love him so so so much!! He has settled into our family like he was born to be with us. He is such a cuddly and affectionate little guy, we love it!!! He makes sure that he has his share of cuddle time in the morning. We absolutely love him, he’s kinda the prince of the house!! 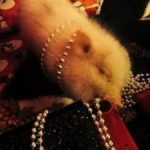 I love Jeri and her amazing piggies. I did a lot of research and Jeri is amazing. I adopted Tulip who is adorable and so loving. 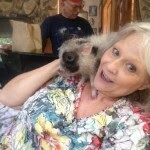 Jeri really cares about all her pigs and even rescues pigs! Here is Tulip! Fully grown she is 35lbs. We adore our new babe! She is so sweet and bringing us so much happiness. She has been litter box trained since we brought her home and is very comfortable around people. Thank you for making this such an awesome experience for us! Hi! Life has been busy since Hampton flew into our lives. I love the little monster, as well as our other furry kids love him too. I attached a few pictures. Hampton’s cat is Gus, they are almost inseparable. I can go on and on about Hampton but you all already know how special these dear little pigs are. Hope all is well with everyone at your home.